Posted by wiredagain in My First Pregnancy! 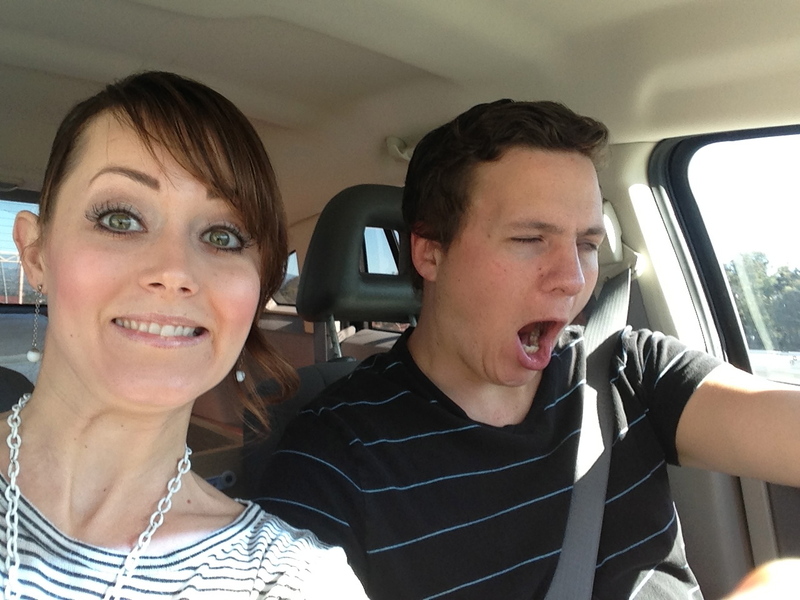 The day had finally arrived that we would go to our first prenatal appointment. For some reason, there were no available appointments in our area, so we had to travel to the Otay Mesa location. If you don’t know where that is, just drive south till Mexico is in sight. About an hour for us, but we would have driven further to get the chance to meet our little gummy bear! I have to admit, that for some reason it still hadn’t sunk in that I was pregnant. I had this looming thought in the back of my head that they would test me, and I wouldn’t actually be pregnant. I’ve lost weight, and my actual symptoms were so minute. Had I not taken a pregnancy test, I might not have even noticed them. Maybe I had missed my period this whole time because there was something wrong with my body. Haha, silly, I know, but my mind often tricks me into a spiral of worry. Not a good characteristic of a pregnant woman! I had been forewarned by other helpful women, that this ultrasound appointment wasn’t what I thought it was… I had envision my belly, lubed up, with a rolling wand of sorts, wandering across its slippid surface. Well they were right. There was definitely lube involved, and a wand of sorts… just no slipped belly to wander… use your imagination. Im not totally sure how my husband felt in that moment, but the awkwardness was soon dissipated when there on the screen was revealed… a tiny baby! Measuring about 2.5 cm. Looking more like a gummy bear at this point than actual human. The head almost the size of the body, with stubby arms and legs. The nurse snapped a few pictures then focused in on the little chest. You could see the rapid movement of the heart! Then she turned on the sound, and we heard our little gummy bear’s heart beat! It was racing! 160 bpm, if I recall. Of course I’d be nervous too, making my debut appearance on camera at such a young age! After the procedure was completed, the nurse went on to talk about all the things she is required to tell/offer/persuade me to do. Things like genetic testing. Its cool that we are able to detect such genetic abnormalities as down syndrome and spina bifida, in the womb. My question is, does it matter? I know I’m touching on a controversial topic, but regardless of your religious views, there is an undeniable truth here: You’ve just been shown that there is a living being in your body, with a heart beat and because it’s in your body, you are solely responsible for its wellbeing at this point. What?! Really?! Maybe it’s because I have some siblings with abnormalities, that I can’t imagine life without, that makes this statement outrageous to me. Maybe it’s because in the informational booklet it says, “A positive test result does not always mean that there is a birth defect. Most women will have normal follow-up tests and healthy babies”. Maybe it’s because it’s down right discrimination against the handicap. Maybe it’s because we live in a society of people who feel so entitled, that they feel the right to choose whether or not a baby is worthy of being born. It’s not the testing that I disagree with, it’s what happens as a result of the information that gets me on my soap box. Whether you agree or not, I encourage you to decide for yourself about the procedures that you are so systematically funneled through. Question the authority. Do your own research, after all you have just been given the responsibility of a life, and you owe it to that life to make the best decisions you can. In other news, I am indeed with child, or gummy bear at this point. I intend to allow God to continue to knit together my wee one, in the darkness and mystery of my womb. I will embrace the decisions that come my way with enthusiasm, an open heart and mind. I will protect my child at all cost. And I will have Chili’s chips and salsa to my hearts content! Oh Melissa…. I was waiting so patiently for this update…. I have always love you more than we ever imagine…. 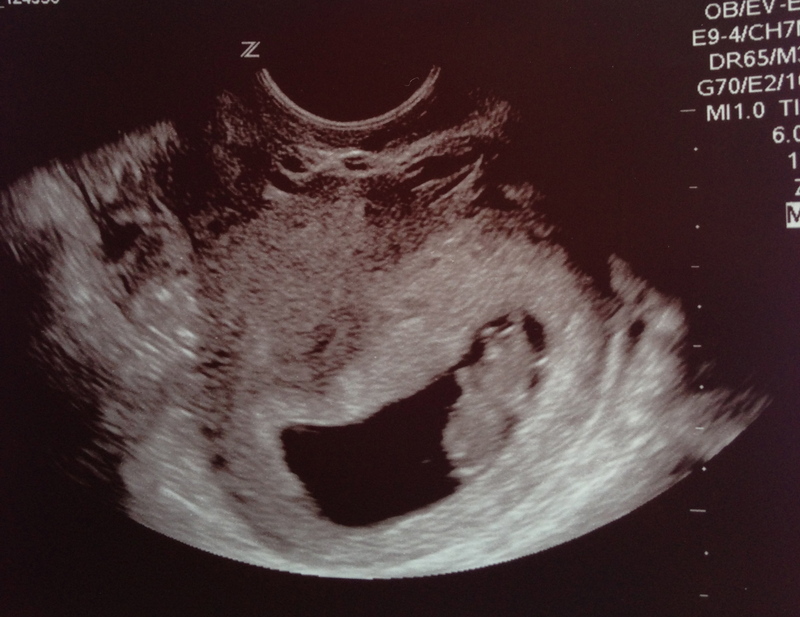 But to know you are pregnant and so falling in love with your Little one makes you even more amazing to my eyes…. Every decision that you make will be based on your love for God and Travis….. People has different opinions… But only YOU can love your child disregarding any “differences” with our society standards… Your family is a real testimony of that…. Besides…. You don’t have nothing to worry about… The grace of God is shining on you and Travis…. You will have a beautiful healthy baby…. And I hope you raise a little person full of smarts and laughs and joy…. This is your time to “BE STILL AND KNOW THAT I AM GOD”… My favorite bible verse…. Be still, listen to every sound and sign in your body…. Because is the music that God is playing for you…. Please keep writing and sharing with Us this magical time of your life…. Jerry and Isabella are followers too….. Love you both… I mean…you three!!!!! Thanks Martha! I love that you said, “Listen to every sound and sign in our body, because its the music God is playing for you”… Where do you get this wisdom and clever way with words?! I’m glad that someone out there is enjoying my TMI blog! Believe me, I’ll be keeping you updated!